With a 95% success rate over the last 50 years, implant dentistry is now available to all patients and represent a safe, predictable option to restore the natural dentition. An implant, combined with a crown, serves as an artificial tooth that will look, feel and function just like your natural teeth! Thanks to our advanced understanding of osseo-integration (how implants become one with the bone) and advancements in dental products, you can now have the dental surgery for an implant and receive the related crown during the same visit. 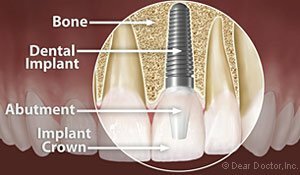 This single stage implant technique involves a two-step process in which we first take all records including pictures, X-Rays, and impressions, and second we place the implant and crown. Implants are made of titanium alloy, which unlike natural teeth, cannot decay. 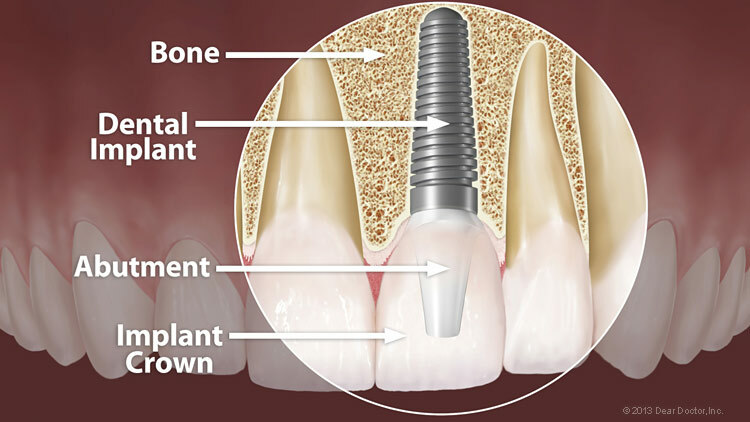 However, implants do require lifelong maintenance like the natural dentition, and without meticulous home care, loss of supporting bone may occur due to chronic bone inflammation and lead to the loss of the dental implant, much like the loss of natural tooth due to gum disease. If you have more questions about dental implants, call Papillon Dental Care in Upper Marlboro, MD at 301-773-5700.